China is developing a new generation of trains capable of reaching speeds of 400 kilometers per hour for Russia's Moscow-Kazan high-speed railway, the China Daily reports. "The train… will have wheels that can be adjusted to fit various gauges on other countries' tracks, compared with trains now that need to have their wheels changed before entering foreign systems," Jia Limin, the head of China's high-speed rail innovation program told the media. "Once the new bullet train is put into service, it will operate on China's rail network as well as on the Moscow-Kazan high-speed line in Russia, which is designed for 400 km/h trains," he added. It will have fifteen stops, including Vladimir, Nizhny Novgorod, Cheboksary and Kazan. The journey from Moscow to Kazan currently takes 12 hours, will be reduced to just 3.5 hours. Trains traveling between China and Russia need their wheels changed when crossing the border, as Russia uses a wider track gauge. The new bullet train will not require this procedure, saving time and money, Jia said. 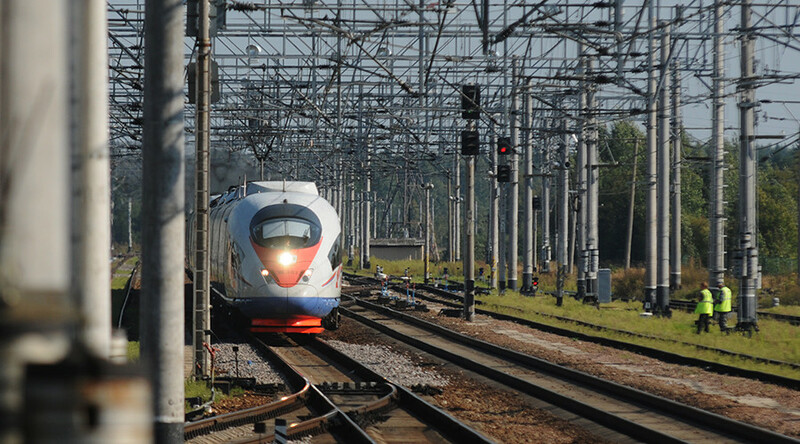 According to Russian Railways, Beijing is ready to provide a $6 billion loan for the Moscow-Kazan high-speed rail. The overall cost of the project is expected to exceed $15 billion. 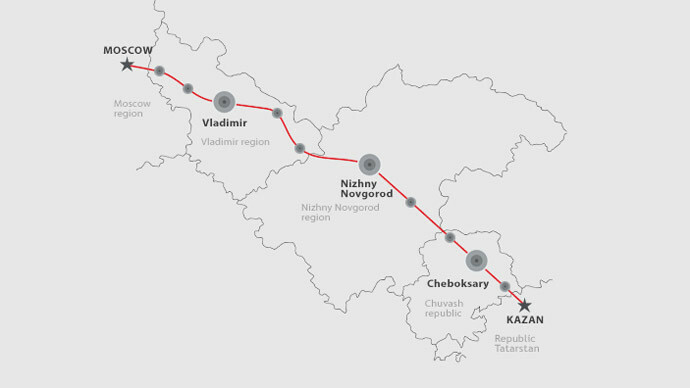 In the future, the Moscow – Kazan route may become a part of a $100 billion high-speed railway between Moscow and Beijing. The railway may also be connected to Beijing’s New Silk Road project, which will link China to markets in Europe and the Middle East.